The Laithwaites Wine club was one of the first 12-bottle case clubs offered up as a way to get your quarterly wine fix at value-focused prices. Over the years we've gone back and forth one whether or not they deliver a good value, but in general we think their $12 selections are stronger for white wine than red. Take advantage of their introductory offer of just $69.99 for a case, but be warned, you are signing up for recurring shipments at a much higher price. We've received many shipments of wine from Laithwaites over the years, but we continue to hold the club in relatively low esteem. It's perfect for a wine lover who wants an inexpensive selection of International wine delivered to their door every quarter. It's not good a fit for anyone who likes wine that sells above $15 a the grocery store. Because of the success of the WSJwine club (a Laithwaites brand), many other wine clubs are competing with 12-bottle case clubs priced around $170 per quarter (including shipping costs). Some of them are offering much better quality wine for that price so we know they could, too. A Laithwaites Wine Club membership costs $119.00 for 12 bottles of wine. Shipping costs extra and is $19.99 per shipment plus sales tax where applicable. The price per bottle, with shipping, ranges from $10.75 to $14.17 depending on how you configure your membership. This shipment of wine was from the TCM Wine Club, which is managed by Laithwaites Wine. It has been a while since we received an actual Laithwaites shipment, but this TCM shipment was VERY similar. You won't get the movie wines with this Laithwaites membership, though. We have also tried some of these wines via the WSJwine Club, also managed by Laithwaites. Laithwaites is a successful wine club provider that operated in the UK for years before venturing into the US market. They're absolutely huge wine club allows them to source wines from around the world, and then share their great finds with their club members. They also are the "private label" wine club provider for a major US publication's wine club. Something that really sets Laithwaites wine club apart from the some of the other clubs is their Introductory Offer program. They always discount your first shipment 50%, and they usually offer some additional value. It's fairly obvious that this is a way to entice you to sign up and try their wines, but nonetheless, this does add extra value to the money you spend with them. Another thing that sets Laithwaites apart from other wine clubs is their unprecedented buying power. You won't find any boutique, small-production, or even medium-production wines in these shipments. You will find many wines not offered by anyone else because Laithwaites has bought up the entire production allotment. You will also find some wines that are available elsewhere, but not at these prices. After the introductory shipment, you’ll receive a case (12 bottles) of wine every quarter for $149.99 and $19.99 shipping until you cancel. When it comes to wine clubs, we like quarterly case-clubs because you save on shipping costs per bottle and it's better for the environment to send out fewer shipments each year. Something we noticed: the Mixed case appears to be 8 reds and 4 whites—we normally call this "Mostly Red." You can also choose Red-only and White-only if you want. It might be because of the UK influence, but we've noticed that Laithwaites's wine selections lean toward old-world, a.k.a. European, wines. It seems like the cases are usually 3/4 European and 1/4 the rest of the world. At WineClubReviews.net we take an objective approach to our star ratings system. Our written reviews are very much subjective, based on our 5+ years of wine club review experience and our own ideas about what good wine and good value mean. The star ratings are based on 11 attributes that we feel define what a wine club should be. Here is how Laithwaites Wine Club stacks up on these traits. We've been drinking Laithwaites on a regular basis for six years now. We've never been particularly impressed with the quality of their wine. What we are noticing is that over time the wines are getting better and the selection typically represents popular varietals and regions. It's worth noting that with a focus on European wines, we may not be the best judge of Laithwaites's picks—we love our fruit-bomb new-world wines and we like wines that are low on minerality and acid. The bonus factor to the Euro-heavy selection is much lower alcohol levels across the board. It used to be that Laithwaites (and it's sister clubs: Laithwaites and VirginWine) couldn't be beat on price. These days there are several wine clubs that are competitive in the sub $15 per bottle DELIVERED space. In wine clubs, as in the rest of life, you get what you pay for — if you don't normally buy wines at this price point, don't be shocked if you don't love what you get. The Laithwaites Wine Club has one of the top introductory offers and we expecially they love that one of your premium options is the 3-bottle bonus selection. Laithwaites does not offer discounts on reorders but you do get access to members-only deals at their wine store. More than any other wine club, Laithwaites has had the most complaints, and many of them were very angry customers. Some of this can be attributed to aggressive marketing tactics, some of it can be attributed to people not reading the fine print about joining an ongoing wine club and not just getting a shipment of really cheap wine, and some of it is their own fault. The only silver lining here is that the pace of complaints has slowed significantly over time. Curation is a black box at Laithwaites, but we can see they have some constraints and some trade-secrets to protect. Given the volume that Laithwaites is buying for, we think they're doing an excellent job picking wines that are likely to be crowd pleasers (popular varietals and wine regions). Note: This rating is our objective analysis of Laithwaites's satisfaction guarantee—not our assessment of whether or not you’re guaranteed to be satisfied with their wines. A top-notch Satisfaction Guarantee policy earns top ratings here. Anything wrong, including you just didn't like it, they'll refund the bottle. "How does your money-back guarantee work? It’s simple. We want you to enjoy every bottle you buy from us. If you are not completely satisfied with any wine, for any reason, just let us know and you’ll be refunded in full." This is an area where Laithwaites has made great strides over the years. You can now manage your account online, including vacation holds, and you'll get shipping notifications with tracking numbers when the wine goes out for delivery. Note: You still need to call during business hours to cancel your membership. A personalized wine club used to mean you picked the color of your wine and how often you received your shipments. For Laithwaites Wine, it still does, except you can't really change the frequency of shipments (you can skip shipments if you want). The Laithwaites Wine Club might not be unique anymore, but they are the club that started the exploding trend of buying wine by the case via a subscription plan. Like other older wine of the month clubs, Laithwaites sends out a glossy color cards with each shipment of their wine club. It contains detailed tasting notes about each wine, the wineries they come from, the winemakers, and the wine region. They also include food pairing recipes and wine trivia in each issue. The Laithwaites Wine Club does not make a great gift unless you'll be awesome at remembering to cancel the subscription months later when you've spent what you wanted to spend. 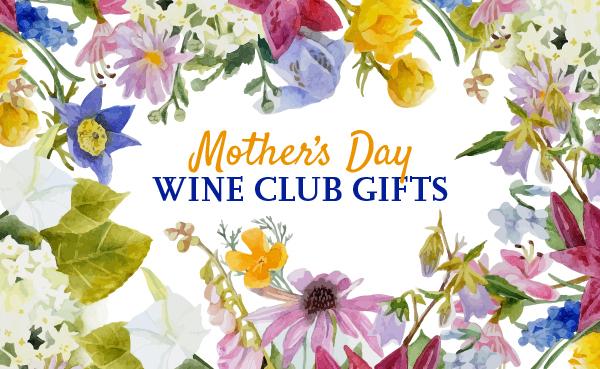 We'd really love to see them offer a pre-paid version of their wine club with gift packaging, too! I shopped with Laithwaites Wine from 2009 to 2014, receiving a total of 33 cases in that time span, and I was satisfied. However, near the end of 2014, I received an email from them for a promotional case of Spanish wines. I clicked the link in the email, decided to purchase the case, and did so. When the case arrived, 6 of the 12 wines were wrong. I called and was told that the contents of this case varied depending on the warehouse that shipped it (which was not mentioned during the purchase itself; and furthermore, I was able to confirm that the warehouse did make a mistake when they shipped it), and I was offered a $20 credit or to return the case for a refund. I was practically offended at the notion that $20 would offset the fact that HALF my case was incorrect. I also actually wanted the original case, so returning the case, just to reorder it again after returning it (hoping to get the right wines) did not make sense to me either. Of the 6 bottles I should have gotten and did not, I did eventually receive 2 - this was my compensation for the situation. I ended up placing another order for the other 4 bottles that I wanted, as they were my main reason for purchasing the other case in the first place. After talking about my situation on another review website at the time, I was contacted by a customer service supervisor who said he was sorry I had a bad experience and asked "just exactly what I wanted from them." I said what I would have wanted was to get the wines I ordered and when I didn't, for them to admit their error and make me feel like a valued customer by correcting the issue. I explained that sending me the wines I should have gotten (which they admitted they definitely had in stock) and asking me to return the wines that I did not order would have made total logical sense. He said he saw I ended up ordering the other wines so he was happy I got them (as if the fact that I had to pay for them again myself did not matter) and said I would surely enjoy them. He also said, as if to somehow compensate me for the bad experience, I would be contacted by a wine specialist that would give me individualized attention for selecting wines in the future - this never happened, not that I cared at that point. For what it is worth, I was also reminded every time I talked with somebody that they have a wonderful policy that allows me to be refunded completely for any wines I do not like. It was almost like they were telling me "we cannot fix your order, but we can't stop you from saying you did not like half of your case to get a refund on half of it." This bothered me immensely - I do not want to lie about not liking a wine or it being bad. I just want to get the wines that I ordered and paid for. Besides, even getting a refund for half the case "because I did not like the wines" would not compensate me for the fact that I paid for shipping for a full 12-bottle case, so the refunds would not cover half the case, if you include shipping. This situation left me so angry that, after getting 50-60 bottles of wine a year from them on average, I have not ordered wine from them in about 19 months and I may never again. 1) Laithwaites Wine has a good wine selection, many of which are really good, and the wines are relatively fairly priced... it's not a bad place to get wines overall. 2) As with any company, they will make mistakes. A respectable company would admit their mistakes and go out of their way to make the negative situation up to their customers. Laithwaites Wine is not one of those respectable companies. 3) In MY case, apologies were forced and generic; I was never offered adequate compensation for my troubles; I was never even offered to receive the wines I had originally ordered (I had to buy them again myself and pay twice to get them once); when a customer service supervisor contacted me and was aware that I had to buy them again just to receive them, he did not care that I lost money - he just said he was glad I finally got the wines I wanted. He also threw in a "well just exactly what do you want?" My final advice to anybody is: if you're in a roulette kind of mood and want to pay a "semi-decent" price for some decent wines that may or may not be what you expect to receive, don't hesitate to try Laithwaites Wine. Just be aware that if/when they make a mistake with your order, you are going to be out of luck. You will have to do business with them being fully aware of that - perhaps just plan to go ahead and ask for a refund on some of your wines, since that is apparently the ONLY action they are interested in as a way to act like they care about their customers. At the end of the day, I find that there are easier ways to get decent wines these days from places that have far better customer service.